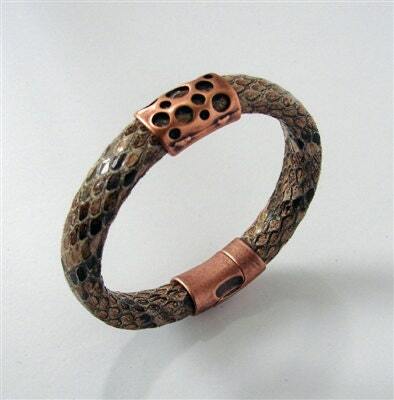 Copper Head Leather Bracelet, faux snake skin. 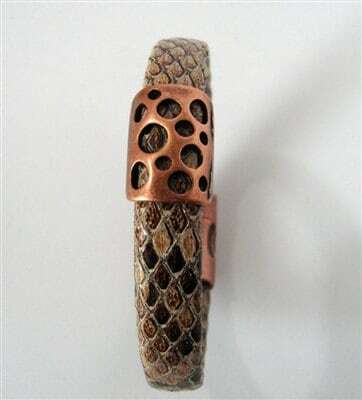 Faux snake skin leather and copper multi hole slider gives this piece its name. 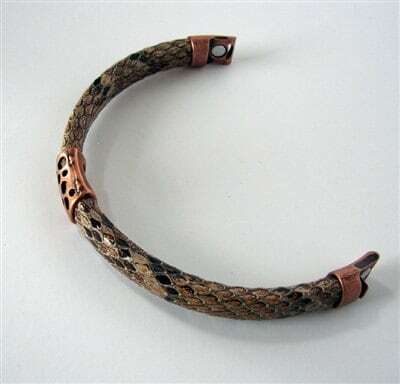 Copper magnetic clasp, 8 inches in length but can be sized at no extra cost.